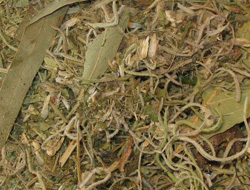 13-HERB BATH contains 13 fragrant herbs alleged to Remove Jinxes and end Crossed Conditions. To pre-pare the bath, empty this packet into a pot of boiling water and let it steep for 13 minutes. Strain out the herbs and add the liquid to your bath. While bathing, immerse your head 13 times, and each time you do so, recite the 37th Psalm of David ("Fret not thyself because of evildoers, neither be thou envious against the workers of iniquity. 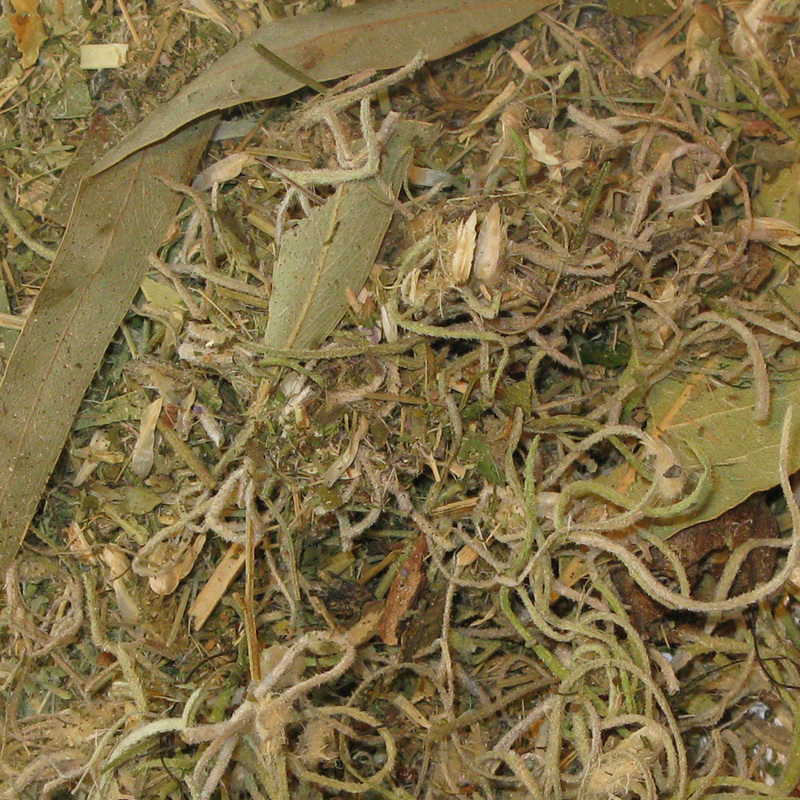 For they shall soon be cut down like the grass, and wither as the green herb...”). For greatest effect, repeat the bath ritual every day for 13 days. 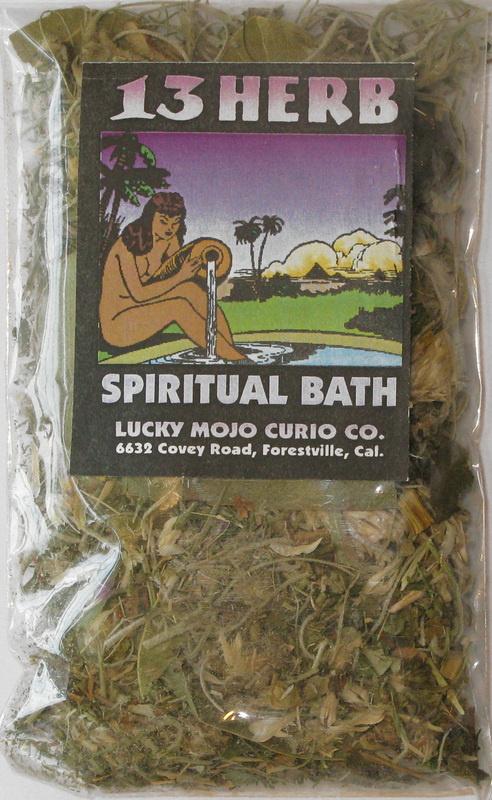 Some folks also use 13-HERB BATH to wash down the Home and Clear Away Evil. 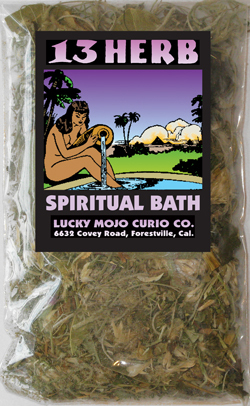 We do not make any claims for 13-HERB BATH, and sell as a Curio only. Many more folkloric magical spells utilizing UNCROSSING HERBS can be found in the book "Hoodoo Herb and Root Magic" by catherine yronwode.